Think you’ve got the gumption to be a Cowperson?! 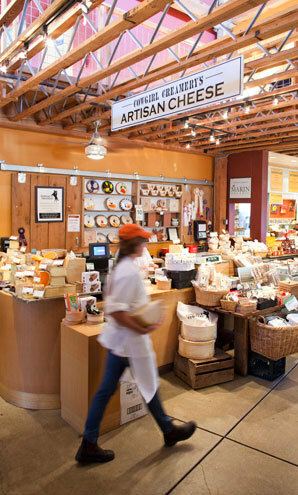 We’re always on the lookout for great folks to help make, monger, and manage our cheese! 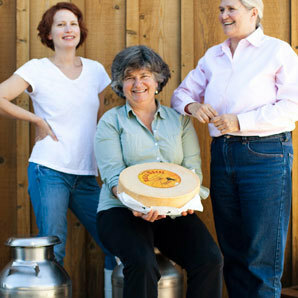 For 21 years, Cowgirl Creamery has produced a variety of fresh, bloomy, and aged cheeses, using milk from neighboring dairies while championing the local milkshed in Marin and Sonoma Counties. Two decades, dozens of awards, two creameries and two retail stores later, we continue to act as an advocate for sustainable agriculture and artisan cheese. Our team is full of food-loving, hard-working folks who have a positive, team-oriented attitude. We care about each other, take great pride in our work and all share a passion for local, artisan food. If this sounds like you, we hope you’ll saddle up and join us on our journey! Bonus perks like swag to keep you warm, coffee & treats to keep you going, birthday gifts, and endless Cowgirl cheer! 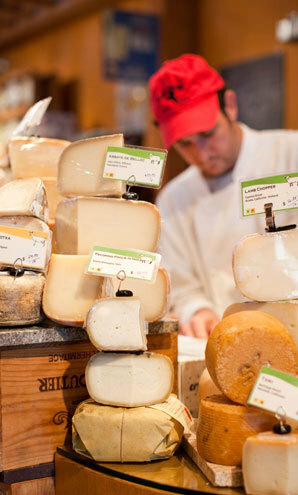 Educational opportunities like visiting local dairies and cheesemakers. This position is responsible for participating in the smooth, friendly and efficient operation of the store as directed by the shop manager and designated shift supervisors while upholding high standards of customer service and maintaining proper care and display of food. Our ideal candidate has a great attitude, enjoys working in a fast-paced kitchen environment, and is passionate about great customer service. The Assistant Cheesemakers help with the daily cheese making process and ensure we are making safe, tasty cheese. We work in compliance with food safety policies and local and federal regulations. In this role, you will assist the Lead Cheesemaker in meeting daily production goals and keeping the creamery clean and orderly. Ability to lift and carry up to 50 lb frequently, and to lift and carry up to 10 lb continuously. Ability to frequently reach above and below shoulder level, stoop and squat. Ability to work safely in variable temperature environments. This position is responsible for planning, coordinating, and managing business and marketing efforts of Cowgirl Creamery’s line of certified organic dairy and cheese products, as well as supporting the growth of our portfolio of like-minded specialty foods. 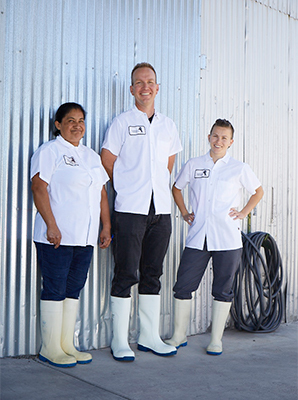 Working with our Marketing Manager, you will help drive growth across all Cowgirl Creamery and Tomales Bay Foods departments, focusing on company mission and emphasis on making and selling the highest quality products to achieve business goals. Our Artisan Cheese Shop & Cantina in beautiful Point Reyes Station is looking for a friendly, food-loving Cheesemonger to join our amazing team! Our mission is to educate guests about the world of cheese and to share the stories of all the amazing cheesemakers we represent. This position also supports our Cantina counter, a fast-paced takeaway café with a cheese-centric menu. This is a fantastic opportunity anyone interested in the cheese industry, regardless of experience - we are eager to train new Cheesemongers in the craft, and welcome seasoned professionals who wish to mentor others. FOH or BOH experience also a plus! This is a non-exempt, part-time position with full-time hours available seasonally.